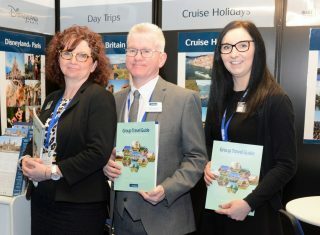 We were delighted to launch our Group Travel Guide 2020 for Coach/Tour Operators at the British Tourism and Travel Show. A comprehensive 136 page brochure for operators who operate either a tour programme or cater for private groups. The brochure features a wide range of regular, best sellers, enhanced or new tour ideas such as ‘Kent Grape and Grain’, ‘Beverley Christmas Market, ‘Music Cities of the North’, ‘Restoration Manchester’, ‘Ostend Bargain Breaks’, ‘Brussels, Beer and Bluebells’ and the ‘Beautiful Belgian Ardennes’.